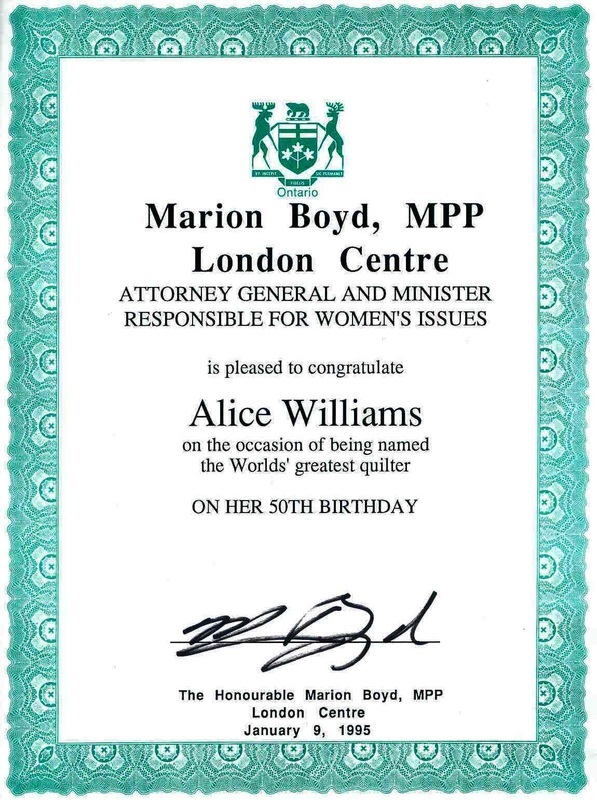 In 2011, the Peterborough community designated Alice Olsen Williams as a "Woman of Impact" through the Red Pashmina Campaign. "Knowing that women everywhere work tirelessly to enhance the quality of life for others in their community, the Red Pashmina Campaign strives to recognize and celebrate their trials, triumphs and accomplishments. By telling their stories, the Red Pashmina Campaign hopes to inspire and enable other women and thereby foster both a local and global community of empowered, successful women." "I am Known for my Quilts"
Alice Olsen Williams is renowned for her unique quilted textile works that blend expressions of Anishinaabe beliefs and ideology with reflections on contemporary social issues. Her distinctive style is grounded in the traditional skills of beadwork and sewing of the Anishinaabe people, and the unique symbols and themes of her culture. Alice's creative vision in quilt design focuses on the central placement of animals and birds, which figure prominently in the lives of the Anishinaabeg. She also uses the beautiful floral motifs that Anishinaabe-Kwewag continue to use in their beadwork, quillwork, embroidery and other creative media. 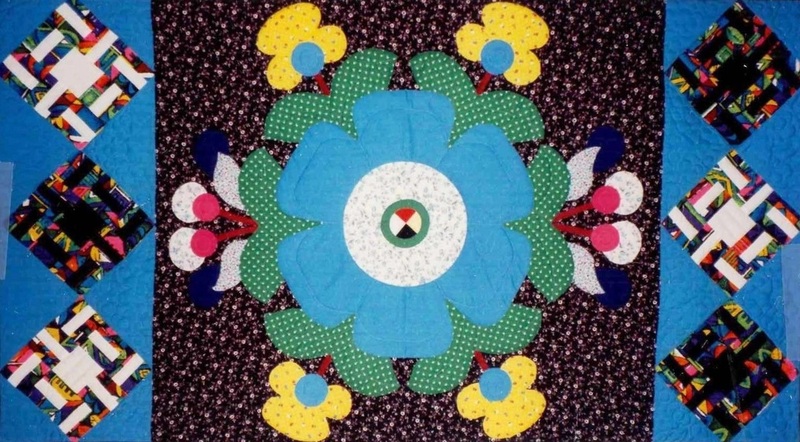 Surrounding her central designs are the conventional North American quilting blocks which were introduced by the first European Settlers, and continue to be developed by contemporary quilt artisans. Alice combines the knowledge and appreciation of both her Norwegian and Anishinaabe ancestry with new materials, to syncretize wonderful expressions in cultural meaning, the healing arts and indigenous activism. Alice was born in Trout Lake, 150 miles north of Kenora Ontario, Canada, in the traditional Anishinaabe territory of her mother's people for millennia, long before Euro-colonization. Even as a child Alice had a delight for fabrics, creating small sewing projects that would later become her passion. She received her teaching certificate from Lakehead University in Thunder Bay and taught there and at Pic Mobert First Nation before moving to Curve Lake First Nation. Alice completed her B.A. at Trent University in Peterborough, and with her discovery of the quilting process in 1980, went on to formulate the concepts which would be the basis for her distinctive style, and to master the beadwork and sewing techniques which allow her to create her meticulous hand-quilted designs. She also keeps extremely busy with her beautiful family of four children, seven grandchildren and one great-grandson! One of Alice’s goals is to show how quilting can bring healing, companionship and comfort to women by sharing experiences and expressing their feelings through the arts. She has worked with community quilters to assemble the "Where Are the Children? Healing from the Legacy of Residential Schools" quilt made in Red Lake, Ontario, and the "Sisters in Spirit Quilt" for the Native Women's Association of Canada. Alice has recently completed a project with the Truth and Reconciliation Commission, coordinating the construction of four quilted wall-hangings to acknowledge and recognize the pain and suffering inflicted on indigenous peoples by the residential school system. Alice's quilts and wall-hangings have been included in exhibitions at the National Museum of the American Indian (Smithsonian), Michigan State University, the Thunder Bay Art Gallery, Wanuskewin Heritage Park and the Art Gallery of Peterborough, plus many other museums and art galleries. She was the Artist-in-Residence at Trent University in 2007. Interested in exploring the capacity for healing in cultural work, Alice co-created "Healthy Land, Healthy People" for the Assembly of First Nations at the November 2005 gathering of the First Ministers' Meeting in Kelowna, B.C. Alice is also well-versed in indigenous knowledge (IK) and shares her wisdom with others through workshops and presentations. Recently she was the Visiting Elder for the SAGE Indigenous Graduate Students Conference at UBC. Alice continues to grow as an artist, searching for new ways to express the Spirit of Creation in her unique designs. Her fine skills, creativity and dedication to the fabric arts is evident in the beauty of her quilts and wall hangings, that so eloquently express the richness of Anishinaabe cultural meaning and healing modalities. 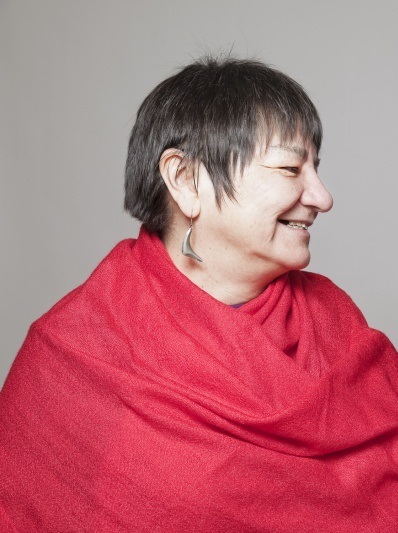 A tireless worker for human rights, Alice's work continues to speak to indigenous cultural resurgence and social justice issues such as racism and violence towards women. Associate Artist-in-Residence for Champlain College, Trent University. Alice Olsen Williams is a member of the "Trent Evening Quilters" (TEQ). September 1998 - ceremony led by Alice Olsen Williams at the White House, Washington, D.C.
Alice was Invited by David Berry, Executive Director, Interagency Working Group on Sustainable Development Indicators; and Co-Chair, Interagency Working Group on Industrial Ecology, The White House; and Organizer of "Prayer Vigil for the Earth" on the National Mall.